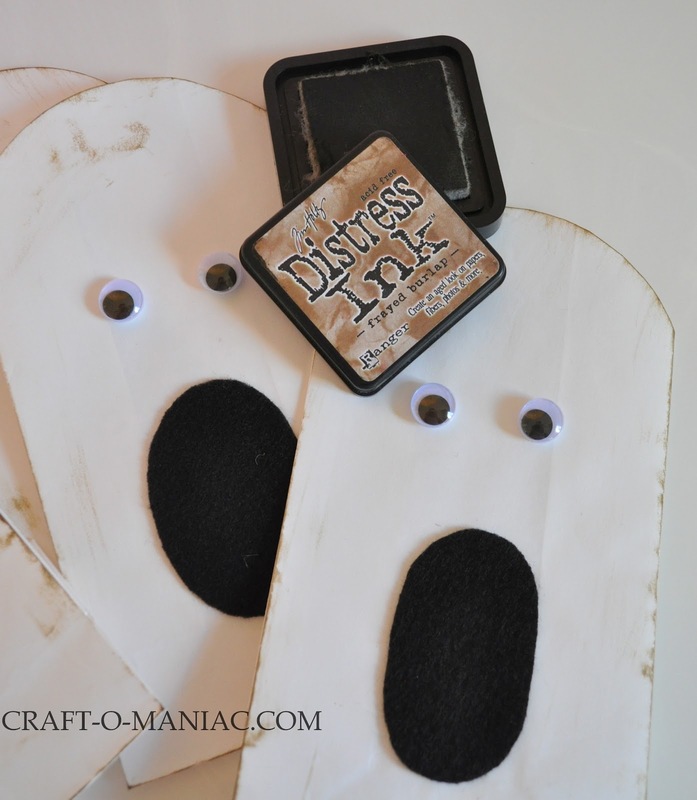 These easy ghost bags were so easy to make, that you can do them with your children or even have a Halloween party and have kids make them. 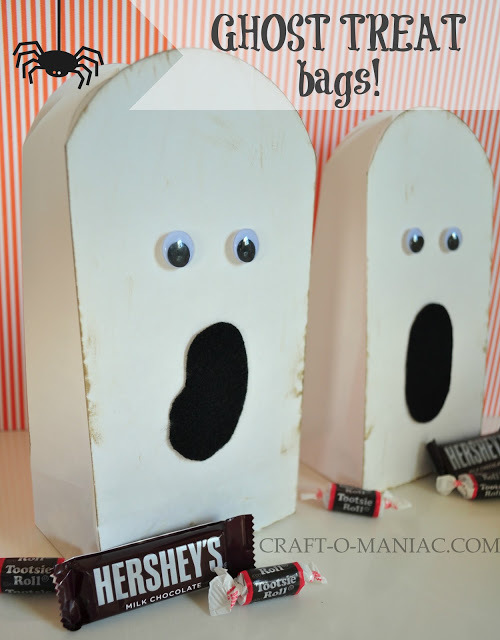 Today I am sharing these 10 Minute Paper Ghost Treat Bags that are spooktacularly cute. I got the cute white paper bags at Michaels. You may remember them from my Candy Corn Treat Bags. The other simple craft items I used, I had at home. 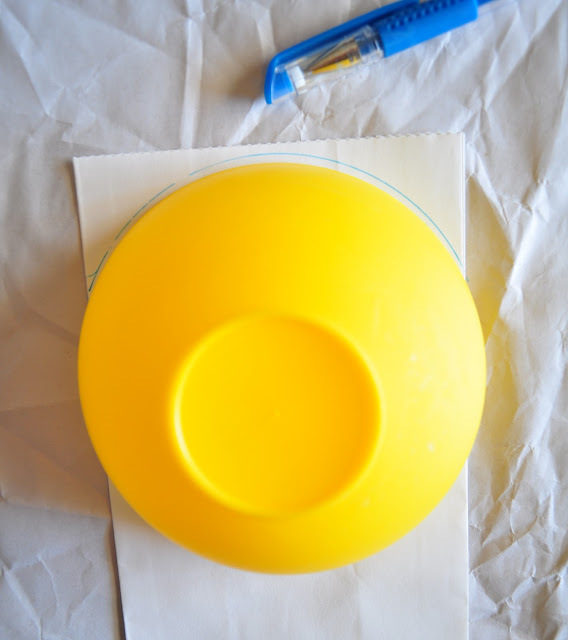 Place your bag down on your work space, take a small bowl and place it at the top front of the bag. Leave a tiny bit of the bag showing up top. Trace the bowl from one side to the next. Cut off the traced area. 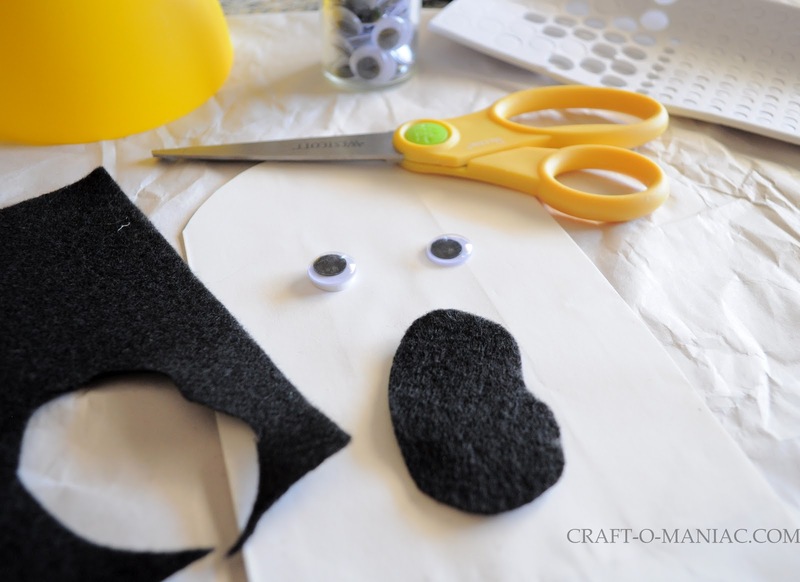 Next use some foam glue dots and stick down your googly eyes. Then with either black craft paper, or black felt cut out your mouths. 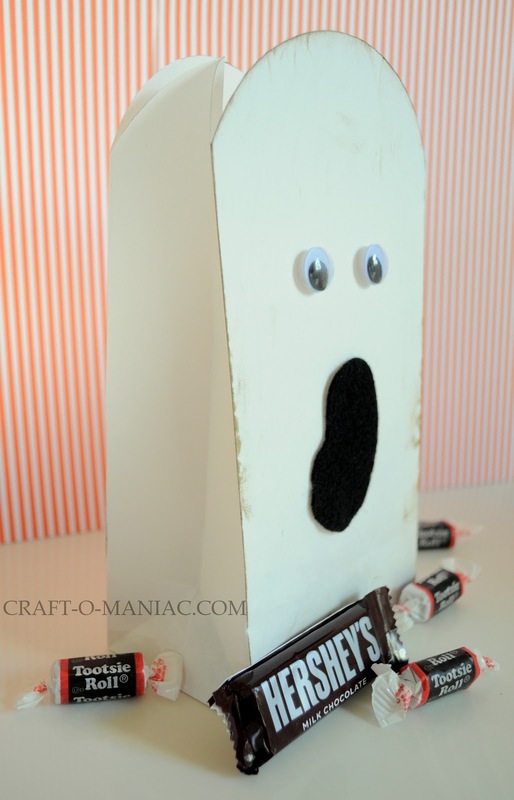 Use tacky glue, flat glue dots, or two sided craft tape to tape down your mouths. Last (optional) use some distress ink and go around the bag distressing the ghost a bit. Fill your bags with candy and you are done. …. 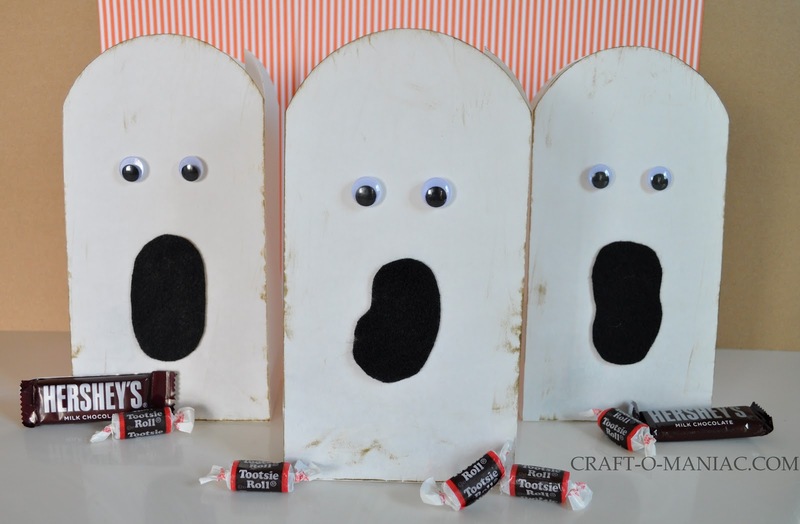 these WOULD BE “SO PERFECT” to give to your NEIGHBORS for THAT FUN … “YOU’VE been BOOED” idea! Put some cookies or treats in the bags along with the You’ve been Booed handout and there you go. These would also be great for your child(s) classroom party, you can even do smaller white bags. HAVE FUN! 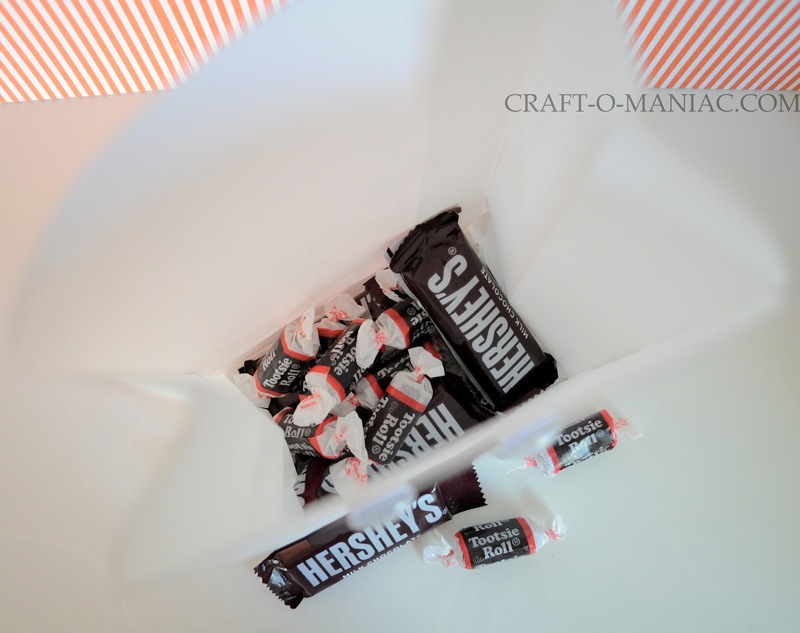 -Also for another treat bag/box option, you can check out my Frankenstein treat boxes. SOOO cute! This would make great Tombstones too! Love the effect of the distressing ink! When I looked at the first pic, I thought – that can’t be paper! Ha! Our neighborhood is getting ready to “Boo!” each other, so I’ll definitely be sharing this idea with them! Oh my…. SO adorable!! My niece and nephew would LOVE getting these on Halloween! What a fun idea! Thanks for sharing!! Simple and very cute!! Kiddos would LOVE these! Super cute, as always, Jen! You have the best ideas! So cute! My kids would love these! Ok, let’s be honest, who wouldn’t love these?? ?